kind of company located in India. Government subsidy starts from 1 lac(non food) until 50 lacs for food industry. 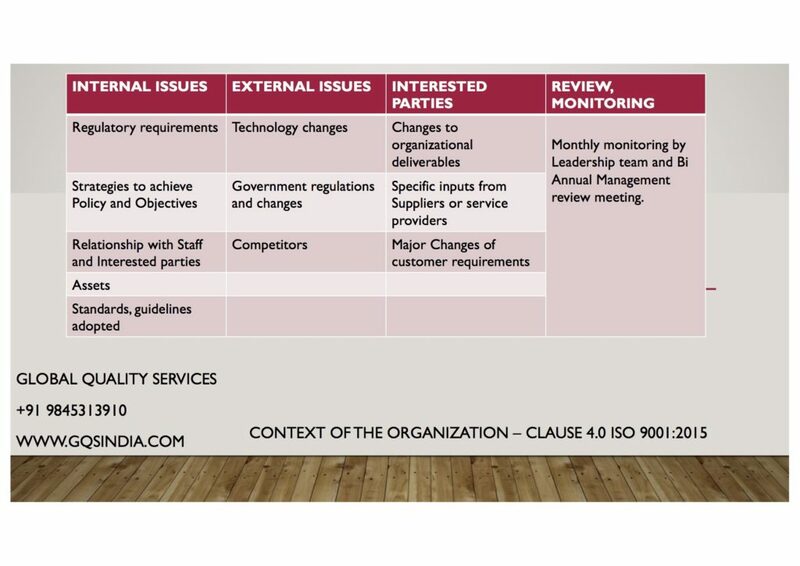 10 Check Points for Identifying the Right ISO consultant and ISO Certification body. all the erroneous or shoddy work carried out by these Free Lance ISO consultant. 5. There are freshers from college who have started consultancy services without having work experience. 6. Check credentials of the consultant before you deploy him. 7. Check if the Accreditation logo provided on certificate are genuine. Call up their office to see if the phones are working ! 8. Check if Certification body is located in commercial Business centers. If certificate have Virtual office address.. This is not permitted by Accreditation body. quest in implementing ISO 9001, ISO 14001, OHSAS 18001, ISO 9001:2015, ISO 45001. 10. Check if auditor have their Lead auditor certificate and if its valid IRCA approved certificate. Lead auditor trainings being conducted every week at our Training center. IRCA Approved ISO 9001 Quality Management System, OHSAS 18001 Occupational health system Lead auditor trainings conducted every week in Bangalore, Mangalore, Goa, Chennai. Contact 9845313910, 9845078743 or drop an email for 2015 calendar of trainings on ISO 9001, ISO 14001, OHSAS 18001, ISO 50001 Energy Management, ISO 55001 Asset Management, FSSC 22000 Food safety system certification, ISO 9001:2015 awareness, ISO 45001 from OHSAS 18001, SA 8000, BSCI, WRAP. Posted in Training , | Tagged Tags: BSCI, FSSC 22000 Food safety system certification, ISO 14001, ISO 45001 from OHSAS 18001, ISO 50001 Energy Management, ISO 55001 Asset Management, iso 9001, ISO 9001:2015 awareness, OHSAS 18001, SA 8000, WRAP. GQS has supported SONIM a guinness record holder for manufacuturing the toughest phone in the world. The documentation, consultancy and implementation assistance was completely provided by our expert team of Quality consultants. Defence Food Research limited has now been certified for ISO 9001 by SGS. The entire team was overwhelmed with the certification. The Director and other scientists appreciated our effort in training and implementing the ISO 9001 certification in their prestigious laboratory.